The five months between Basketball and Football season can be kind of dull for Boilermaker fans. Luckily for you, we're here to quench your thirst of all things Purdue by looking back at (and following up with) one of the worst teams in Purdue history - the 2005-2006 Men's Basketball team. Marcus White came out of Whitney Young HS (Chicago) in 2002 as a top-100 recruit for the UCONN Huskies (after decommitting from DePaul due to a coaching change). A prolific rebounder, White was second on the team in rebounding as a freshman and appeared to have a bright future ahead of him. Unfortunately, his ‘03-‘04 season was derailed by a bulging disk in his back and he was forced to redshirt in UCONN’s National Championship season. After undergoing surgery, White was not getting the playing time he was looking for in his sophomore year, as Charlie Villanueva and Josh Boone had established themselves as UCONN’s go-to big men. White left UCONN in mid-December, and announced his intentions to transfer to Purdue in early January. While his reason for transferring was never officially stated, it appears he was looking for more playing time and that there were no “Bo Ryan-esque” transfer issues on Jim Calhoun’s side. White was eligible to play for Purdue beginning in December of 2005 and a month later took over a team that was decimated by injuries and other issues. Carl Landry, David Teague, Nate Minnoy, and Korey Spates were all injured or kicked off the team by the end of January, allowing White to shine. Beginning with the third game of the Big Ten season, Marcus scored double-digit points in 10 of his next 12 games and teamed up with Matt Kiefer in forcing opposing coaches to pack the paint. Unfortunately, White’s back issues flared up again and he was forced to miss the last two games of the season. A few weeks after the season, news came out that Marcus White’s career was over due to his back issues. Matt Painter announced that while his career was over, Purdue would keep him on scholarship through the end of his senior year. The story should have had a sad, but heartwarming ending…White finishes his Law and Society degree, gets a great job out of school, and reminisces about what could have been. However, that's not even close to what happened. Despite Purdue, Matt Painter, and Marcus White convincing nearly all fans to this day that White’s career was over (search on “white” to read the comments section of a recent post from another awesome Purdue blog), Marcus went on to play THREE years of professional basketball. Instead of capitalizing on his opportunity for a free-ride in his senior year, White passed it up to play professionally in Lebanon for Antranik Beirut. In his first and only season there, White really hit his stride and averaged 17.9 ppg and 13.9 rpg while playing in 17 games. In addition to his offense, White was also named to the Lebanese Basketball League all-defensive team. A huge season less than nine months after leaving the Purdue basketball team due to a career-ending back injury! 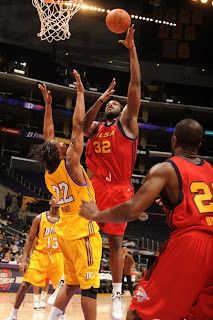 Apparently, White impressed enough people with his play that in November of 2007, Marcus White was taken in the third round of the NBA D-League draft by the Los Angeles D-Fenders. White played 14 minutes off the bench in the team’s first game of the season in the Staples Center, but didn’t score a point before tearing the meniscus in his right knee. 3 days later, he was released from the team due to injury, and it appeared his 15 minutes of fame would come up 1 minute short. 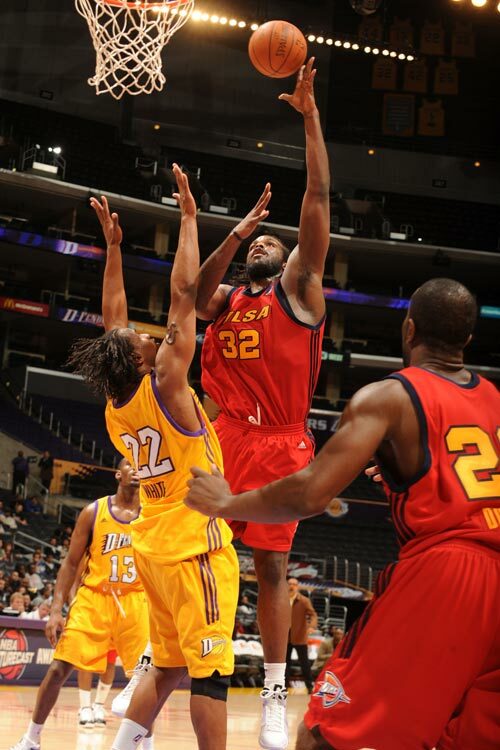 However, White spent the next year in intensive rehab and eventually re-signed with the D-Fenders in December 2008. He played in 9 games, including a dominant 20 point, 19 rebound performance against the Anaheim Arsenal. Unfortunately, the injuries caught up with him and White was finally released for good on Febuary 3rd, 2009. With White’s playing career finally over (three years after leaving Purdue due to a “career-ending” injury), Marcus moved back to Chicago. According to his Facebook pages, he is now engaged and is working as a professional trainer. Not quite sure why he has 2 different Facebook pages, but it appears one is very “business-like” while the other is much more party-focused. Regardless, make sure to add him as your friend to find out more! Unlike the prior two “Where Are They Now’s”, Marcus White doesn’t appear to have arrests on his record and has done pretty well for himself. However, that doesn’t mean this story was without major controversy. What happened after the 2005-2006 season? Did Painter kick White off the team? Did White have an offer to play professionally and dupe the team into thinking he was permanently injured? Did the coaching staff, worried about making room for incoming freshmen and big-time recruits Jonathan Uchendu and Dan Vandervieren, cover up the real reason he left? And how have fans been duped this entire time? With Gordon Watt, Carl Landry and the two big freshmen all battling for the 4 and 5 spots the following year, my best guess is that White decided to move on and that it was mutually decided to use the injury as the main excuse. Regardless, it’s very suspicious that Purdue would offer White to keep his scholarship for his senior year, but not have him play on the team if they truly didn’t believe that he was injured. In the 2006-2007 season, Purdue made it to the second round of the NCAA tournament and nearly beat Florida, the eventual National Champions. That same year, Marcus White played in Lebanon and averaged 18 points and 14 rebounds in what was supposed to be his senior year. What if Marcus White had come back and brought that kind of production to Purdue? A starting lineup of White, Landry, Teague, Chris Kramer, and Tarrance Crump could have done some major damage in March. Do you have your own conspiracy theories? What’s the real reason behind Marcus White leaving Purdue? Leave your thoughts below, and check back throughout the summer as we continue our “Where Are They Now – 2005-2006 Season” series! I knew white fairly well and Painter had it out for him and forced him into retirement. I took a few classes with him and he worked very hard in school but he always talked about playing professionally after that year. I'm sure Painter had his reasons and I'm not taking sides, but it wasn't due to injuries.